Do you believe in spirits and demons? When you’re ill, do you visit the nearest exorcist or do you take yourself off to the doctor or hospital? Of course, most Christians (but by no means all) have more faith in the medical profession than they do in the wingnuts who’d tell them their ailment was the result of demonic activity and command the demon to leave in the name of Jesus. If you’re a Christian, you should believe in demons and unholy spirits; you believe everything Jesus uttered was true, don’t you? Of course, Jesus was a product of the pre-scientific era in which he lived; his ignorance might be excusable if it wasn’t offered up as God’s Truth. 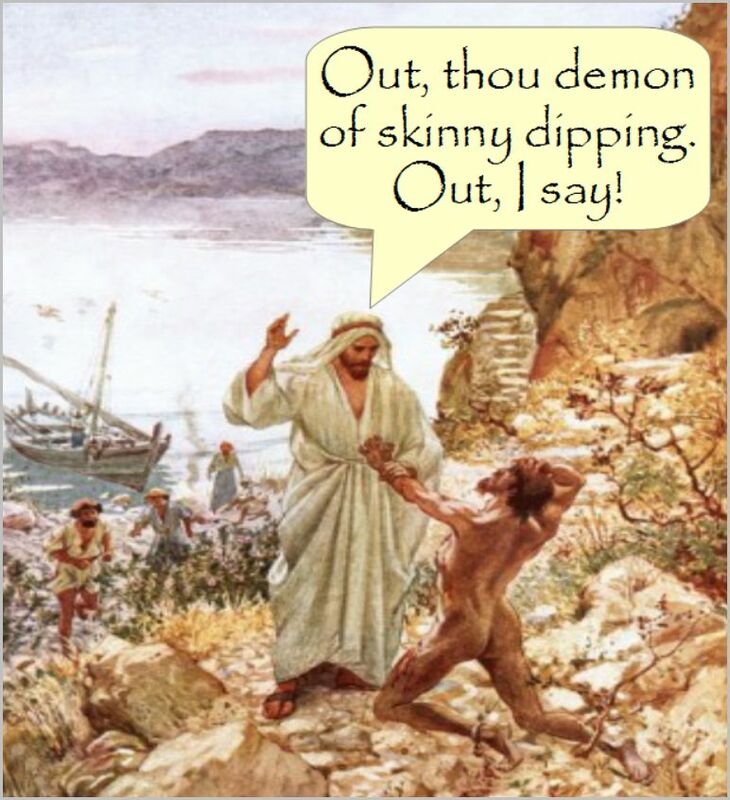 All that Jesus’ belief in devils and unclean spirits demonstrates is that he was very much a man of his time – evidence, if more were needed, that he wasn’t remotely divine. Unless, of course, the God he also believed in was as ignorant of the causes of illness and human behaviour as he was. But next time you’re unwell, Christian, or you’re feeling a mite greedy or lustful, don’t go to the doctor’s. Don’t even ask the Lord for forgiveness. Have a little faith and, in the name of Jesus, command that hell-spawned demon within you to leave. See how that works out for you. Right-wing American broadcaster, Bryan Fischer, claims unarmed black teenager killed by cop was in fact possessed by a ‘homicidal demon’. Tele-evangelist Pat Robertson asserts playing Dungeons and Dragons leads to demon possession. Thank you, Lord, for your endorsement of fantasist rubbish like this. This entry was posted in Christianity's failure to deliver, Christians and homosexuality, Extremism, Jesus disappoints, Science v faith and tagged Catholic Church, Christians, evidence, homosexuality, Jesus, Matthew, Pope, Supernatural beings by Neil. Bookmark the permalink.